Brad Stulberg and Steve Magness’ The Passion Paradox aims “to show you how you can find and cultivate passion and how you can manage its immense power for good.” The authors note, justifiably, that although we are encouraged to find our passions, relatively little literature deals with how to nourish them in a healthy and sustainable manner. The volume opens with a brief introduction to the topic of passion and the purpose behind the book. This is followed by a fascinating, although abridged, chapter on the origins of passion including a succinct description of its psychological and biological influences. Next, the authors provide us with a summary of motivation studies including an outline of self-determination theory. Of the remaining sections, Chapters 5 and 7, the longest, are the most satisfying. The book concludes with Chapter 7, "Self-Awareness and the Power to Choose." The authors introduce the concepts of self-distancing and perspective, aids to living a positive and sustainable passion-filled life. From one perspective, Stulberg and Magness are to be congratulated for this work, their second co-authored volume, which is clear, concise, and captivating. From the onset, one is quickly drawn in through their honest and open comments supplemented by engaging stories, provocative examples, and supportive research. The book is a page turner, nudging one on to the next chapter and then the next. In addition, unlike other books of the self-help genre, the work is well- researched. A glance at the bibliography reveals a range of easily accessible, vigorous peer-reviewed research articles, revered books, and respected trade magazines. But, at the same time, the authors miss out. To use a cooking metaphor, they have provided the whipped cream but have forgotten to include the dessert itself. Although an engaging read, the manuscript has too much surface and not enough depth. Part of this lack of depth is due to format. Whereas this layout proved most successful in their first book (Peak Performance), in The Passion Paradox, such a formula lessens the volume’s significance and impact. Sidebars of snappy quotes taken from the body of the text proliferate the pages. “Passion Practices,” bulleted points that summarize important concepts, often in exact repetition, are over-used and become wearisome by the final chapter. Along with format issues, there is a lack of continuity in terms of content. For example, why do the authors focus on “activities” such as sports, arts, or academics and then, only in the final chapter, do they emphasize “others” such as spouses or loved ones, as possible passions? 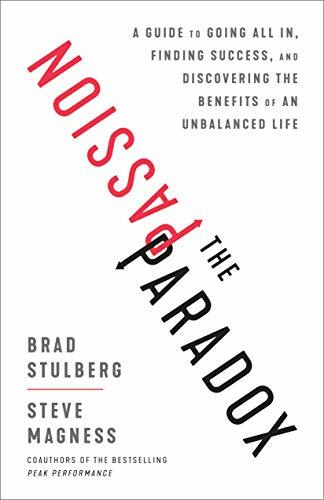 When all is said and done, however, because of Stulberg and Magness’ success with their first collaborative effort, The Passion Paradox is likely to gain rapid media attention. And if what you are looking for is a well- written “taster menu” on the subject of passion, this is definitely the volume to purchase. With easily employable techniques to maintain one’s passion in a healthy and productive manner, the book has value. On the other hand, if what you want is an in-depth, detailed, thought-provoking study on how to find and cultivate passion, this publication will not satisfy your cravings. Rather, it will leave you wanting more. Dr. Lisa Lorenzino serves as the Chair of the Music Education Department at the Schulich School of Music. A jazz flutist, she heads Lisa Lorenzino and Friends alongside Josh Rager (piano) and Mike de Masi (bass). In addition, she is a member of Compás y Melodía, a classical Spanish flamenco ensemble featuring dancer Lina Moras and Patuá, a Brazilian samba band. She is also the founder of Montreal Jazz Flute Summit, a jazz ensemble of four flutes, bass, and piano featuring Dave Gossage, Frank Lozano, and Jennifer Bell.